Thanks to gross excesses in executive compensation exposed during the financial crisis, CEO pay has come under increased scrutiny in recent years. At the prodding of the SEC, compensation boards at public companies have cleaned up their acts somewhat, but CEOs still typically make far more than shareholders consider reasonable. Plus they often negotiate lavish perks that increase their pay by millions more. Occidental Petroleum (OXY) shareholders have enjoyed returns of more than 35% this past year under CEO Ray Irani's reign. As a result, Irani's current compensation is $31.4 million. Included in that figure is personal tax preparation and financial planning at a cost of $391,000. The average person pays about $500 for financial planning. At Occidental's 2010 annual meeting, however, over half of shares voted were against the company's say-on-pay proposal (which means half the shareholders who voted were not happy with his compensation). 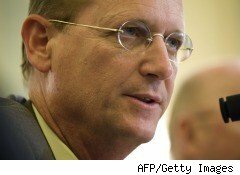 Richard Anderson of Delta Air Lines (DAL) may not make as much as the other CEOs listed, but he certainly has his share of corporate perks. Although he earns $2.25 million a year, Anderson relies on the company to cover a number of what could be considered personal costs. For instance, Delta paid Anderson $772,000 in relocation costs because his home in Minneapolis, which he needed too sell to move to Atlanta, was worth less than his mortgage. No doubt, a lot of Delta employees and shareholders are desperate to get out from under their underwater mortgages too. 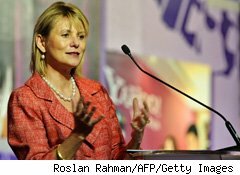 Carol Bartz, who joined Yahoo (YHOO) as CEO in January 2009, received about $39 million in compensation for that year. That included equity she otherwise would have made at her last job. However, according to estimates made by Glass Lewis, a leading governance consulting firm, Yahoo paid her more than she should have received, putting her in the top of its overpaid CEO list. Bartz, however, did not want to pay her attorney fees to negotiate compensation from Yahoo. Later, Yahoo paid the $110,000 bill. 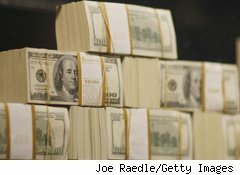 Having just been hired on July 13, 2009, Boston Scientific (BSX) CEO Ray Elliot is quite fortunate to be receiving compensation totaling $33.4 million. Included in this is $1.3 million for relocation costs and a cost-of-living allowance, apparently needed for Elliot's new position. Those holding executive positions at Oracle (ORCL) are known for receiving immense compensation without being held to any specific performance requirements. 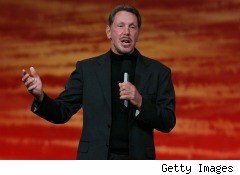 CEO Larry Ellison, for instance, received $84.5 million in 2009 -- the highest amount paid to any U.S. CEO that year. As though this were not enough, Oracle provides Ellison with $1.4 million in security-related costs. Randall L. Stephenson of AT&T (T) is the country's 12th-highest paid CEO, with yearly compensation of $20.3 million. Part of this pay includes $216,000, which is used specifically for Stephenson's club memberships. Additionally, Stephenson receives compensation in the form of automobile benefits and aircraft usage, including catering and crew travel costs. 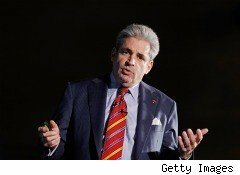 Another of the country's top-paid CEOs is Travelers' (TRV) Jay S. Fishman. He receives yearly compensation of $20.1 million. Of that, $724,000 goes toward car and driver services, as well as aircraft services, helping Fishman live up to his company's name. Many employees would say it's difficult to get their employers to just cover gas. The CEO of Abercrombie & Fitch (ANF) made a massive $38.5 million in 2009. This salary earned him the second-highest ranking on Glass Lewis's overpaid CEO list. In fact, Michael Jeffries's 2009 compensation exceeded that given to the company's four other top executives combined by more than 360%. It's difficult to see any logical reasoning behind Jeffries's excessive compensation, especially when considering that $639,000 goes toward his personal use of a company-owned aircraft. Leslie Moonves, CEO of CBS (CBS), is paid $44.1 million. CBS, however, is headquartered in New York, while Moonves lives in California. 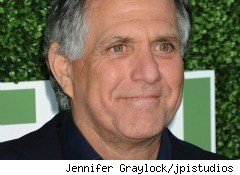 So, CBS pays $2.5 million in tax reimbursement to cover the difference between what Moonves would have paid if he lived only in California. Surveys show that shareholders of many public firms believe a chief executive should make $2 million or $3 million and have bonuses that are tied to stock options. Yet, companies are still clearly willing to pay top dollar to recruit a new CEO or keep an existing one happy. The position that most boards take when they defend CEO pay is that top talent is scarce. It's the same argument sports teams use when they offer players exorbitant salaries: Pay the going rate, or let the player go elsewhere. That may be true. But one thing is clear from our list: Average Americans aren't likely to have high regard for executives who get larded with such outrageously lavish perks.